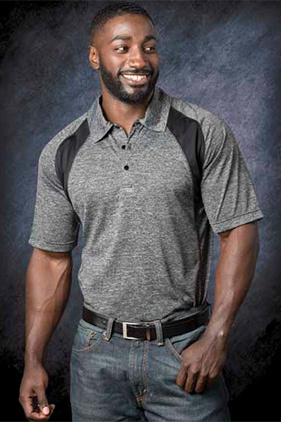 100% polyester 4.4 ounce performance sport shirt. Moisture wicking properties. Black contrast armhole inserts on raglan sleeves. Three button box placket. Self fabric collar. Chain stitching.